Software has already eaten the world. Now, the opportunity to invent the future is in the hands of physics-powered startups that are commercializing breakthrough scientific inventions that can transform billions of lives. This is a two-part overview of the current state of the startup ecosystem and how physics-powered startups are inventing the future. In the first part, we present the significantly under appreciated opportunity for physics-powered startups to define the next generation of massive venture-backed wins. We also describe the saturation of capital and companies focused on consumer and enterprise software. 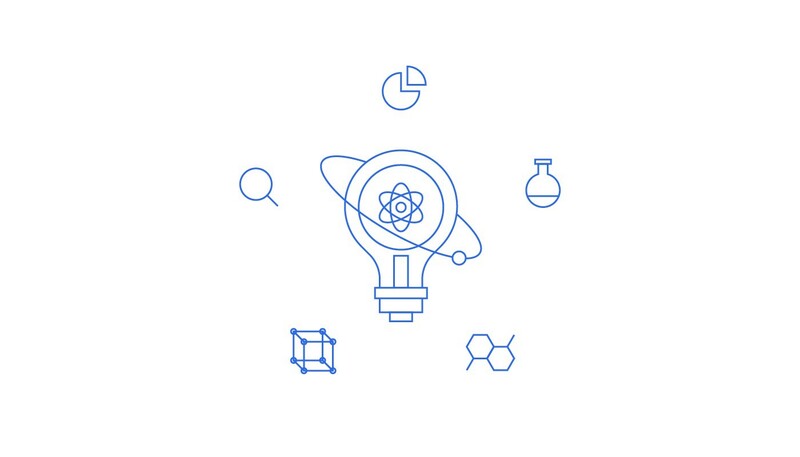 In the second part, we provide a blueprint of how to invent the future and how we at Prime Movers Lab are investing in world-changing breakthrough scientific inventions across the spectrum of industries that will be transformed in the coming years. While the software venture ecosystem has ballooned, far less capital has been deployed to date in ‘physics-powered startups’ (others use the terms hard tech or deep tech or frontier tech). Such companies are defined by their breakthrough scientific inventions and intellectual property creating a significant defensible advantage. After achieving proofs of concept, these startups often have the opportunity to scale high-margin businesses without facing significant competition. These startups across energy, transportation, infrastructure, manufacturing, human augmentation, and the future of computing represent the next wave of massive opportunity for early-stage investors; however, many investors are deterred by myths pertaining to capital efficiency, timeframe to exit, technical risk, and valuation. Additionally, unique intellectual capital is required to select opportunities at appropriate inflection points in maturity in order to identify attractive asymmetric risk-reward ratios. 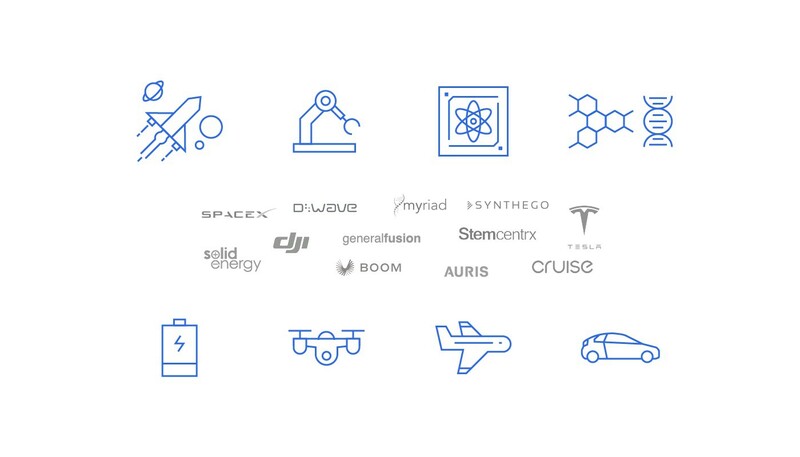 Some of the best examples of physics-powered startups include Space X, Tesla, Cruise, DJI, Solid Energy, D-Wave, General Fusion, Synthego, Counsyl, Auris, and Boom. Although these companies span a wide range of areas such as space, automotive, drones, batteries, quantum computing, nuclear, synthetic biology, genomics, robotics, and aviation, all share certain common properties. First, their explosive growth has generated significant upside for early-stage investors. Second, their unique intellectual property has enabled them to sustainably deliver on irresistible value propositions for their target market. Third, later-stage financing has been available at massive premiums both in the traditional venture market and in the form of creative hard-asset financing to minimize dilution. Four, when these companies started, most investors could not distinguish science fiction from reality and missed out on the opportunity prior to commercial traction. As software has eaten the world, the rate of physics-powered innovation has been dramatically sped up by the availability of new affordable computing techniques. In particular, the improvement in research software tools over the last decade has contributed to a rapid increase in rate of iteration for breakthrough science. Additionally, the rise of AI and the accessibility of cloud computing enables researchers to invent in new paradigms. Additionally, the organizational learnings of leading software companies about how to build and manage a tech culture of rapid exploration are now being applied to hardware and science startups. Many founders who have built software startups and have scientific backgrounds are partnering up with world-leading researchers to create a new generation of physics-powered startups that look more like software cultures, moving fast and experimenting at an unprecedented pace. Finally, as discussed below, many software-driven investing theses are already saturated with capital. Physics-powered startups often offer more attractive entry valuations at the point at which research risks have been addressed but prior to commercialization. Of course, identifying this optimal timing requires unique diligence capabilities at the intersection of science, technology, and business. Although many physics-powered startups often spend more capital to reach a minimum viable product than software companies, in the long run they can often scale with greater capital efficiency. This is because software startups are generally less technically defensible and therefore must spend massively on marketing to outstrip competition. The unique IP of physics-powered startups enables them to win deals and scale in high-margin markets. This myth persists primarily because the uses of capital differ between physics-powered and software startups. In software startups, most capital is used on scaling and marketing, which can be more comfortable and formulaic for investors to evaluate. In physics-powered startups, far more capital is used on engineering, addressing technical risk and hard assets. These uses of proceeds require a different skill set to assess and support in deploying. While many investors are competing for early-stage software startups, the majority are typically uncomfortable funding physics-powered startups at a pre-commercial stage. Few venture funds are equipped to perform the extensive scientific and technical diligence required to evaluate pre-seed and seed-stage startups that have indications of significant IP creation. Most investors prefer to wait for these companies to demonstrate commercial traction and invest at higher valuations once diligence no longer requires a deep technical dive to assess the company. Due to the relative dearth of early-stage financing for physics-powered startups, valuations have remained far more reasonable than in the case of software companies. It is also important to note that valuations typically remain fairly constant throughout the research and development phase for such startups. Consequently, the most attractive entry point is typically after the core scientific risks have been addressed while valuations remain modest but before commercial traction is demonstrated when investor interest grows significantly. Software companies will typically achieve a proof-of-concept more rapidly than companies whose product or service involves the physical world. 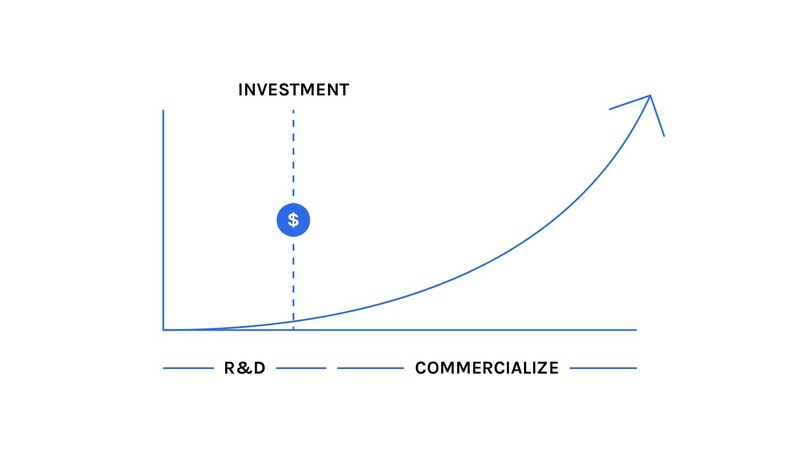 That being said, after progressing beyond initial research, physics-powered startups will frequently earn significant revenue streams rapidly based on the value their inventions create for clients. As a result, over a 10-year period many will be able to achieve comparable revenue growth rates to software startups despite a slower start. Timing the entry to physics-powered startups mitigates many of the primary myths and risks associated with such investments. At the end of the initial R&D period, the largest technical and duration risks have been addressed. At this point, the concept still appears like science fiction to most, but a savvy investor can see that commercialization is imminent. As a result, valuations remain reasonable and capital efficiency concerns can be reasonably evaluated. Next, let’s consider how physics-powered startups fit into the broader ecosystem of entrepreneurial activity and venture capital. Marc Andreessen said in 2011 that ‘software is eating the world’, and he was right. Since 2008, startups have raised $500+ billion in the largest influx of venture capital in history. These funds have been primarily deployed to fund expansion of massive consumer and enterprise software startups. 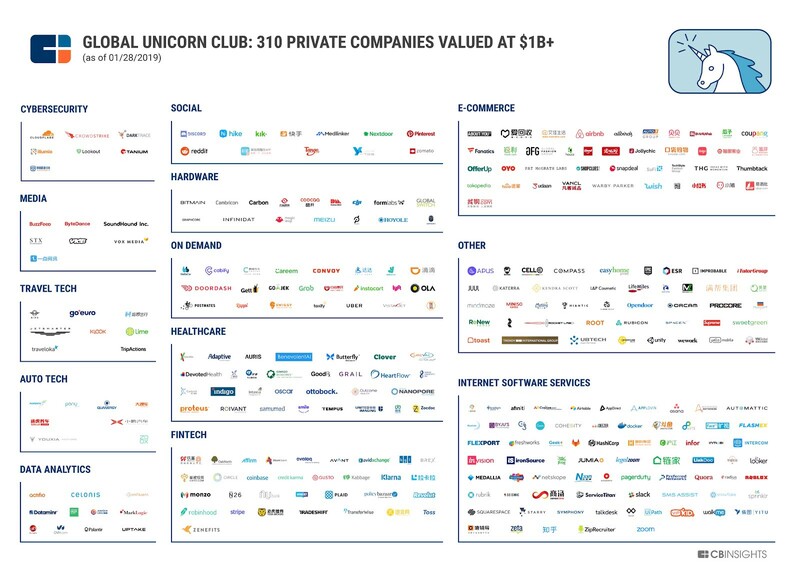 As a result, there are more than 300 unicorns valued at $1+ billion in the US alone. These companies have been primarily defined by their business model innovation and rapid ability to acquire customers more than fundamental technical differentiation. In the consumer-facing arena, major winners include Uber, Airbnb, Lyft, Pinterest, Coinbase, Instacart, Doordash, Robinhood, Oscar Health, and Wish. Each of these companies has dominated based on network effects, massive investment in marketing, and rapid growth in an attempt to capture market share. Achieving scale has required hundreds of millions or billions of dollars in most cases to outpace competition in hyper-scaling. In the same 10-year period, Google, Apple, Amazon, and Facebook have grown in market capitalization to nearly $3 trillion in value from less than $300 billion. Additionally, these four behemoths have invested $100+ billion in acquisitions to maintain their dominant positions in their respective markets. Beyond the unicorns and big four, tens of thousands of consumer startups have been founded over the last decade. Early-stage financings (pre-seed and seed) have soared. Given the established winners among the unicorns and big four and the massive influx of capital to early-stage companies, attractive investment opportunities in the consumer software space have become rarer. Joe Lonsdale wrote ‘The Smart Enterprise Wave’ 2013, sharing his thesis that the next wave of massive startups would serve old-world industries with next generation intelligent software platforms. Joe’s perspective has been validated in the past five years by the rapid growth of major enterprise-focused successes such as Palantir, Dropbox, Cloudera, Zenefits, Stripe, Flexport, Domo, PureStorage, Github, Mulesoft, Addepar, OpenGov, and Tachyus. In the public markets, Microsoft, Oracle, Salesforce, and SAP have also expanded significantly since 2008 from less than $300 billion to over $1 trillion in market cap while investing tens of billions in acquisitions. Similar to the consumer software world, enterprise software valuations have skyrocketed amidst the explosion in the number of venture capital and seed funds seeking to deploy significant capital. Additionally, most industries have multiple well-funded competitors pursuing expansion based on initial traction and customer success. As a result, much of the enterprise software world has ‘already been eaten’ and appropriately priced new investment opportunities are scarcer than ever. In part one of this piece, we have introduced the massive opportunity represented by physics-powered startups. We examined why now is the time to invest in such companies and debunked the common myths about them. We also outlined the current state of the startup ecosystem and explained why, for those with the appropriate diligence capabilities, physics-powered startups can be an attractive alternative to traditional software ventures. In part two, we will survey the industries where we at Prime Movers Lab expect to see physics-powered startups inventing the future.